Book: London: Francis and John Rivington. Cheltenham: Henry Davies. 1846. Letter: Campden Vicarage. 30 October 1868. The son of Sir John Kennaway of the East India Company, Kennaway was well-connected. 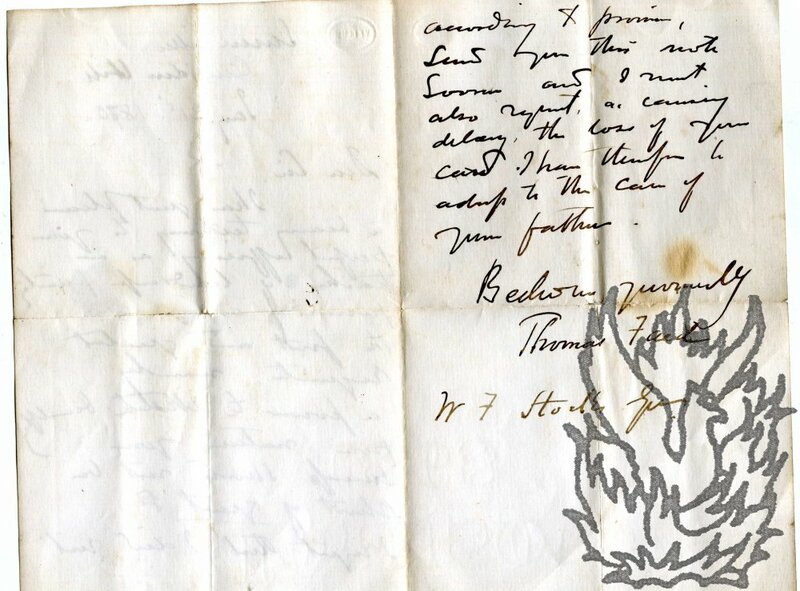 In 1819 Poet Laureate Robert Southey provided him with a letter of introduction to Walter Scott. ONE: 'Poems of Rev. C. E. Kennaway, M.A.' (1846). xv + 216pp, 12mo. Black leather binding, with stamp of Nisbet & Co, 21 Berners Street, London, on front free endpaper.in gilt, stamped with the words 'Bagster's Binding'; all edges gilt. Internally a good tight copy on lightly-aged paper; in worn binding, especially at the spine and hinges. Bookplate of Sarah Godley. [The Campden Hill Club, London.] Three manuscript volumes, comprising minute book, day book and visitors book to the Club's exhibition at Leighton House, with signature of Duncan Grant, Roy Plomley and others. The Campden Hill Club, London. Minute Book, 1946-1958; Day Book, 1956-1972; Leighton House Visitors book, 1958-1976. The Campden Hill Club was founded in 1907, 'in affectionate memory of Byam Shaw, and as a tribute to his teaching', and comprised, according to the Studio magazine in 1922, 'mainly of past and present students of the Byam Shaw and Vicat Cole School of Art, with which it keeps closely and stimulatingly in touch'. The three items are in good condition, on lightly-aged paper, in worn bindings. ONE (Visitors Book, 1958-1976): 190pp., 4to. Ruled notebook bound in red cloth, with 'Visitors' stamped in gilt on the front cover. 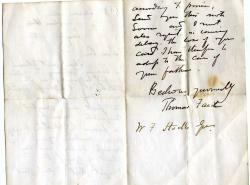 Autograph Letter Signed ('Thomas Faed') to W. F. Stocks. 31 January 1870; Sussex Villa, Campden Hill, London. 12mo, 2 pp. Twenty lines. Text clear and complete. In bifolium. On aged and discoloured paper, with small closed tears along central fold lines of both leaves. A reference, 'bearing testimony to your perfect efficiency as a teacher of landscape painting possessing, as you do, the first and greatest requisite, namely a power to sketch beautifully from nature, your success should not be short of great. [last word underlined]' Apologises for not answering sooner, caused by 'the loss of your card'. From a small archive of Walter F. Stocks's correspondence. Autograph Letter Signed ('W Russell Flint') to L. Carpenter of Leigh-on-Sea, discussing his artistic development. 8 July 1948; on his Peel Cottage, Campden Hill, letterhead. 4to, 2 pp. Twenty-three lines of text, clear and complete. In fair condition, creased and lightly-worn. With stamped envelope addressed by Flint. In reply to a question from Carpenter ('I very, very freqently receive letters such as yours') Flint writes: 'Dont worry about not receiving art instruction in painting because I never had a lesson in my life.' He believes he inherited the skill he 'started with', but constant study of the works of masters & constant practice have brought me (with the aid of a kindly Providence) to my present position'.